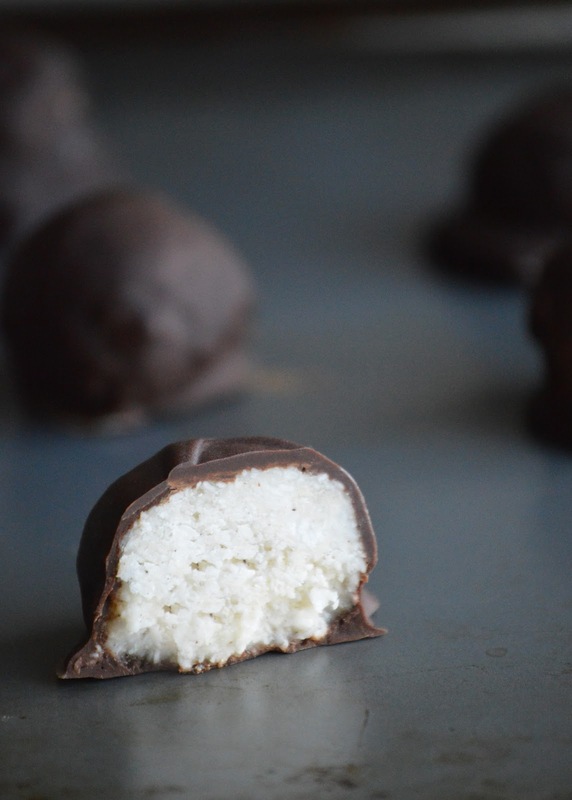 The Wholesome Foodie: Paleo Bounty Balls! I think I'm going going a little sweet-crazy lately.. Fall does these weird things to me. I'm pretty sure it's my body trying to hibernate.. I'll just keep telling myself that. Truthfully, these little balls of delicious are filled with healthy fats and healing properties AND they taste just like a candy bar.. Don't believe me?! Stay with me here..
1. Combine all ingredients aside from dark chocolate into a food processor and blend until mixture forms a sticky ball. 2. Line a sheet pan with parchment paper. Roll 1 1/2-inch balls and place on parchment. 3. 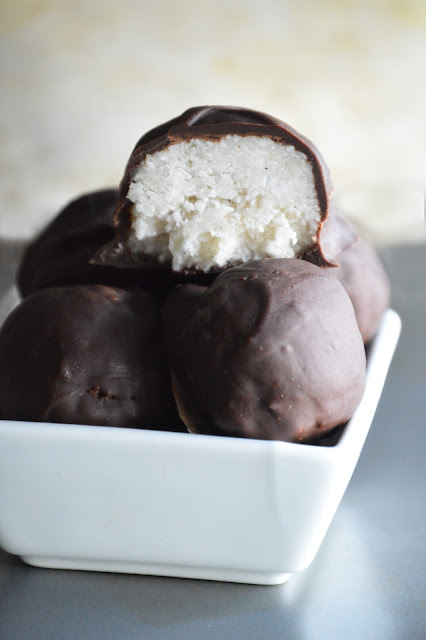 Refrigerate coconut balls for 45 minutes until they are completely set and firm to the touch. 4. Melt dark chocolate chips on the stove-top or a microwave until chocolate is smooth. 5. Using a toothpick or 2 forks, roll the coconut balls into the chocolate. Be sure to do this quickly as the chocolate will start to melt the coconut. 6. Refrigerate balls for 30 minutes until set. Enjoy!